Jeremy Roy is a Master’s student in Electrical and Computer Engineering at Offroad Robotics, Queen’s University. He is supervised by Joshua Marshall. He completed his B.A.Sc in Computer Engineering (2018) at Queen’s University. As part of his Bachelor’s degree, Jeremy completed an internship at Neptec Design Group. 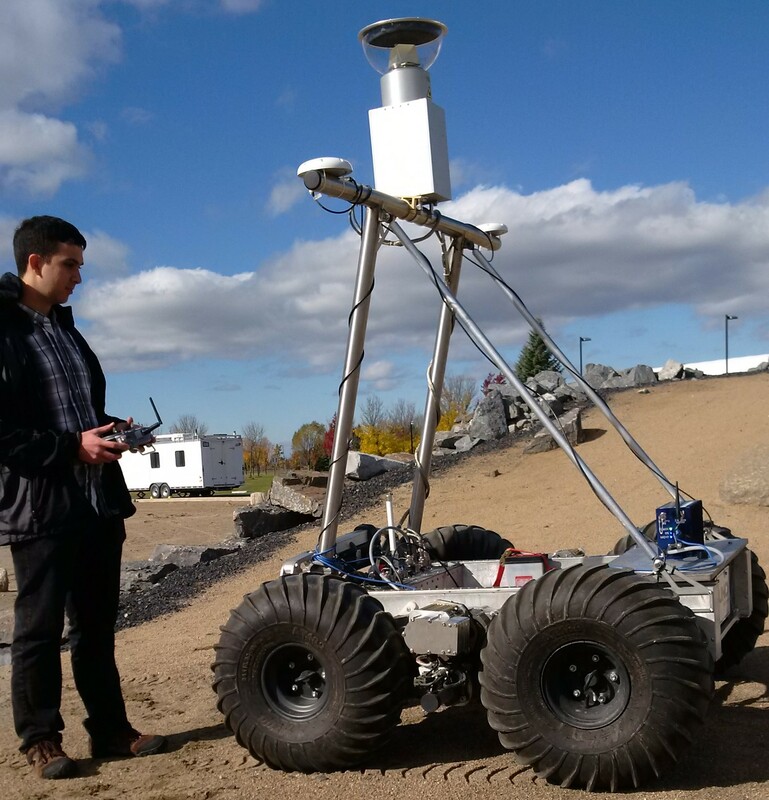 Projects Jeremy worked at Neptec include LiDAR Nav, an autonomous navigation system for the Canadian Space Agency’s JUNO rover, and Neptec’s On-Astronaut Wireless Sensor System. 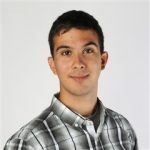 Jeremy’s research interests include path following control, state estimation, and machine learning. Jeremy testing the JUNO Rover at the Canadian Space Agency’s analog planetary terrain. 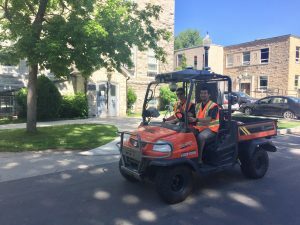 Jeremy and Michael Fader testing Offroad’s autonomous-ready Kubota RTV. 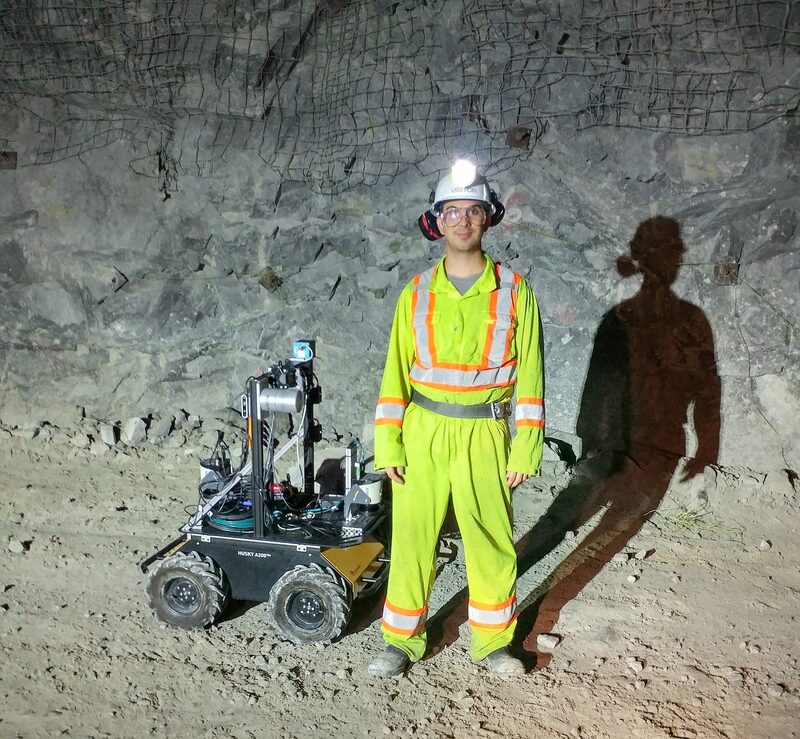 Jeremy with the Husky at Barrick Hemlo Mine. 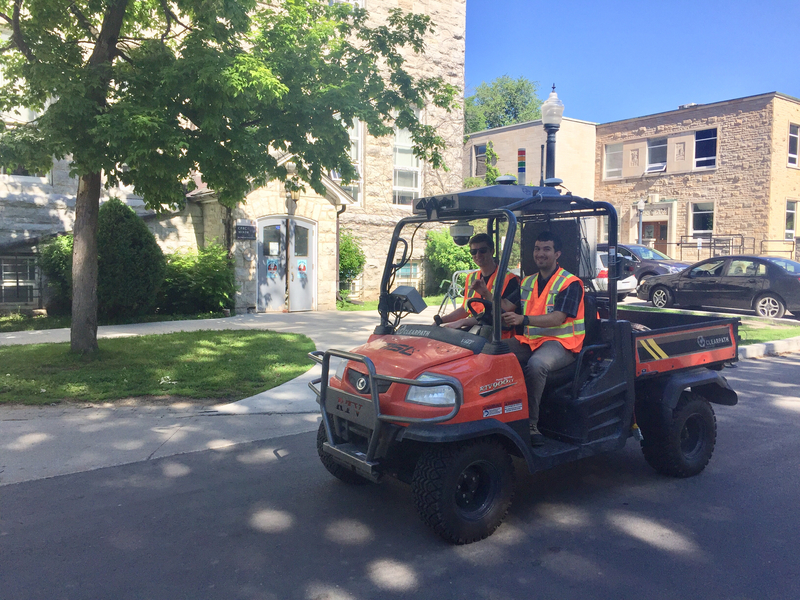 Jeremy, R., Jérémie, J., Riley, K., Justin, C., Quadrotor Controlled by an Onboard Smartphone, B.A.Sc Capstone Project, Department of Electrical and Computer Engineering, Queen’s University, Kingston, ON, April 2018 (advisor: Carlos Saavedra).